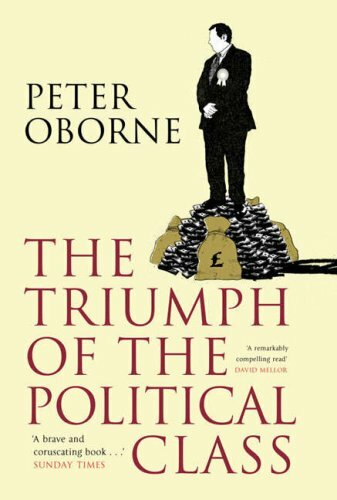 My review of Peter Oborne’s ‘The Triumph of the Political Class’. I am not hugely familiar with the writings of Mr Oborne as I am a reader of the Independent, the Guardian and New Statesman and not of the papers for which he has previously written. However, I did hear of him leaving the Telegraph following the HSBC scandal where the newspaper was found to have not been reporting stories that might be harmful to one of its primary financial sponsors. Mr Oborne left the paper, disgusted with his employers conduct, and has since found work with the Daily Mail. He is one of only two columnists, the other being Peter Hitchens, for whom I am willing to visit the website of this horrendous publication to read. And like Mr Hitchens, I find Mr Oborne to be a principled reporter who is disgusted with what politics in the UK has become and with whom I have more in common than I would have thought based on their positions in the political spectrum. So, ‘The Triumph of the Political Class’ is a remarkable read. Truly, a remarkable read. I tore through it in a short time, far faster than I expected to, and found that I absolutely loved it. It is an incredible, thoughtful and more than a little angry work that has changed my view of politics in Britain more than a little. If you have any interest in this subject and would like to know how we got to where we currently are then you should read it and if, like me, you find it to be astonishing then you will be glad that you did. Mr. Oborne explains how our politicians are no longer political servants, instead they have become a elite all of their own whose only interest is their own power. But he goes much further. Is your opinion that our politicians are all the same and that they are lying, thieving bastards? Mr Oborne shows that you are correct and that standards in political life have dramatically collapsed with the primary interest of our politicians now their own enrichment and not public service. Do you think that our politicians are in the pockets of the media, more specifically of Rupert Murdock? Mr Oborne explains that this is true and details the shocking extent to which it is and that the relationship between the two has now become parasitic. Ever thought that all politicians are the same and that they all work together to keep themselves in power and prevent anyone finding out what they are really up to? This book shows that you are correct and that standards in politics are now lower than is expected for the rest of us whereas in the past they were expected to uphold a much higher standard. All of this is clearly and concisely spelled out with clarity and more than a little anger. This is a book that changes your view of politics in Britain and opens your eyes. It explains how many things that we think might be true actually ARE true! It details how we have lost control of our political system and how, with a pliant and willing media, our leaders are no such thing. They are incompetent, inept, useless and morally corrupt and they are only able to survive due to their symbiotic relationship with said media. They lie, they cheat and they get away with it! They have strengthened their own power while attacking other important British Institutions including Parliament, the Civil Service and the Monarchy, all in the name of increasing their control over our country. And since the publication of this book in 2008 I suspect that things have gotten much, much worse! Mr Oborne clearly lays out the cause of the current malaise with our political masters which stems from one simple fact: we no longer pay for them. When membership of the political parties collapsed, and the parties were forced to find other sources of income to support them, they turned to business and corporations who willingly parted with significant sums of money secure in the knowledge that they would reap the benefits. And they have more than done so. It should come as no surprise to anyone that those who pay for the parties have their loyalties but our problems go much, much further than this. Since the Thatcher government the change in the way politics works has been truly dramatic with matters worsening with every successive change of those in power. One of the truly stunning aspects of this book for me was how much of this damage was done during Mr. Blair’s government. Now, I’m not a huge fan of Mr. Blair and I’ve heard the cry before that he wasn’t really Labour at all. And now I think that this is correct. He was neither Labour, nor Tory. He was Political Class and not a servant of the people. And many that have followed including David and Ed Milliband, David Cameron, Ed Balls, Boris Johnson, George Osborne and others are all members of this same elite. They have little interest in fighting each other and more in fighting the electorate and increasing their power. And this will not change until the people grab a hold of the reins of politics and change many aspects of the current system. Reading this book in the wake of the election of Jeremy Cobryn as Labour leader also makes for a fascinating twist on Mr Oborne’s words. Mr Corbyn is clearly not a member of the Political Class. He is an outsider, a rebel and thus a very clear danger to the established order where politicians of all colours protect each other from their real enemy: the people. Mr Corbyn is a normal person with actual moral standards who is now in charge of one of the two major parties. As for how much change Mr. Corbyn and his team will be able to implement, well we can only wait and see. But this book helps to explain the, frankly rabid reaction to Mr. Corbyn’s election. The Political Class fear him for he is not one of them! Also, the final section of the book details complex software used in the 2005 election to target swing voters with remarkable accuracy and this makes me wonder what techniques are now being used in the ten years since. I shudder to think. Like ‘Captive State’, The Triumph of the Political Class is a rallying cry for people to wake up and realise how much control of our country we have lost. And without regaining this control we will never be able to tackle the huge issues that we currently face like Climate Change, the migration crisis and the control that corporations have over our countries and our lives. If you have any interest in politics I highly recommend that you read this excellent book and I hope that you take as much away from it as I did. It should help to explain how the UK got to the current situation that we now find ourselves in and if there is ever to be a way to restore faith in the system then we need to understand how we got to this point in the first place. I will now be looking out for other books from Mr Oborne and will be reading his columns in whichever newspaper he chooses to publish them in. In case I have not been clear enough, go and read this book! It is important that as many people as possible do so, so go out and find it people! 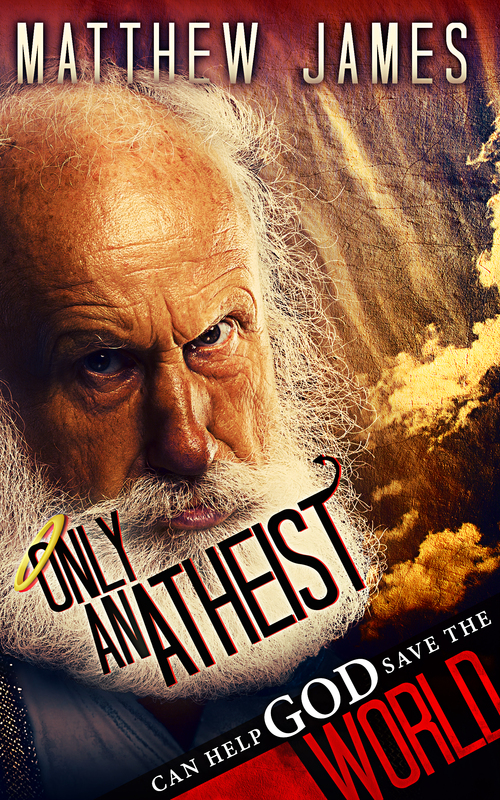 Check out my other “Rambling” blogs posts for articles on comics, politics, self-publishing and my novel, ‘Only an atheist can help God save the world’ which is out now at all electronic retailers! Also follow me on Twitter @onlyanatheist1. Cheers! Previous PostMy ‘rambling’ review of Star Wars: The Force Awakens (spoilers! )Next PostThank you to my followers, retweeters, and most importantly my readers and reviewers!